The might of Mother Nature has again exacted a heavy toll on the citizens of Louisiana and those in California as historic floods and devastating wildfires has robbed people of their homes and possessions. Fortunately, loss of life has been kept to a minimum, but the human suffering continues. 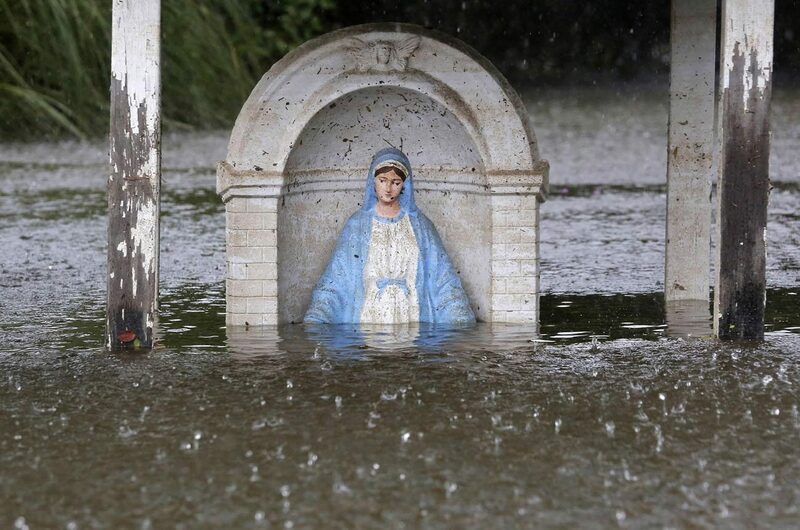 Tangipahoa Parish, fifty miles to the northwest and the home of Louisiana State AOH President James Kuhn, along with Livingston and East Baton Rouge Parish were hard hit—and that included several Catholic churches in the Diocese of Baton Rouge. Water caused damage to church buildings at St. Alphonsus, Holy Rosary, St. Anthony, and Immaculate Conception, St. Jean Vianney and Cristo Rey Franciscan High School. For those wishing to donate anything, please contact Catholic Charities of Baton Rouge, 1800 S. Acadian Thruway, Baton Rouge, LA 70808, or by visiting http://www.svdpbr.com/. 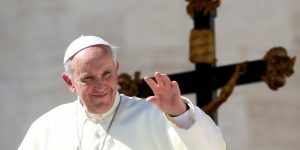 Pope Francis recently called for a day of prayer he titled “World Day of Prayer for the Care of Creation” and set for September 1, Archbishop Joseph E. Kurtz of Louisville, Kentucky, president of the U.S. Conference of Catholic Bishops (USCCB), extended an invitation to people of all faith to join Pope Francis and unite as witnesses for the care of creation. In addition, Bishop Thomas G. Wenski of Miami, chair of the USCCB Committee on Domestic Justice and Human Development, and Bishop Oscar Cantú of Las Cruces, New Mexico, chairman of the USCCB Committee on International Justice and Peace, also issued a statement drawing attention to the deep connection between integral ecology and the need to respect the dignity of all human life, especially those in poverty. In his statement, Archbishop Kurtz invites people to reflect and connect with others to make positive changes in their communities. “When we care for the environment, we are caring for ourselves and each other,” Archbishop Kurtz said. 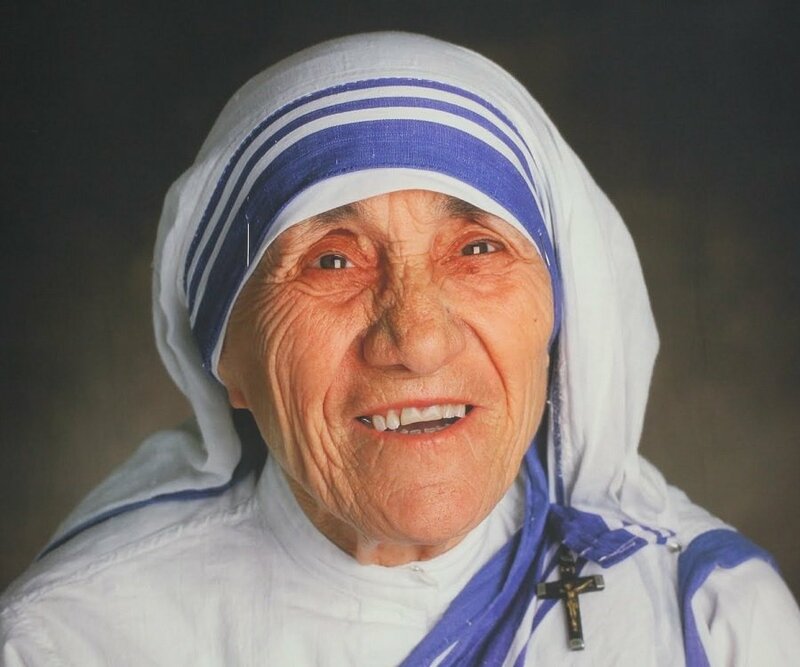 On a personal note, I—like many—have rejoiced at the canonization of Mother Teresa of Kolkata (formerly Calcutta). I have also shaken my head at the need to give voice to the minority of people who feel that this holy woman did not deserve sainthood because of perceived faults in her ministry or her person. One who looks for perfection in the life of St. Teresa or rejoices in various reports about this woman’s failings as a person, then you have totally missed the point of sainthood. The two greatest apostles of the Church respectively denied Christ and even persecuted his followers. Despite their conversion to the faith, they continued to muddle their way through their missions and occasionally had moments that made people scratch their heads. The example of St. Teresa and all those considered saints of the Church is not that they achieved some spiritual and moral perfection. It is that their lives represented the honest and truthful attempt to achieve spiritual and moral perfection through care for others and devotion to the tenets of the Gospel. Personal perfection has never been the goal. Perfection of the soul through the Grace of God has always been the standard. St. Teresa met that standard.